When I was a newer Christian, I vividly remember my new Christian friends saying things like, “God spoke to me the other day.” And it was always jarring to me. At first, I didn’t know what to think about it. But after reading through the Bible a few times, I finally realized that these experiences are what the Bible talks about when it mentions the prophetic in the New Testament. Now, don’t misunderstand me: God isn’t speaking to people about adding new books to the Bible. The world is already filled with enough cult-groups. Rather, God wants to give us supernatural advantages in living life. And wouldn’t it be great if God could give us nudges and impressions when it comes to our friends, finances and futures? Well, the good news is this: He DOES. But how do I know if these nudges are from the Holy Spirit? What if I just have an overactive imagination? Or, worse, what if the devil is tempting me? Well, for starters, we need to scrutinize all prophetic impressions according to scripture. And I strongly encourage people to submit their impressions to godly mentors as well (1 Cor. 14; 1 Thess 5:20-22). In some ways, I’ve found that the more I memorize God’s Word and the more mentors I have, the more God speaks to me in prophetic ways. The prophetic is a lot like fire. The more we create safeguards, the more God can fan the Holy Spirit’s fire. But still? How do you know if it’s God or just a thought in your head? Well, honestly, I don’t always know. 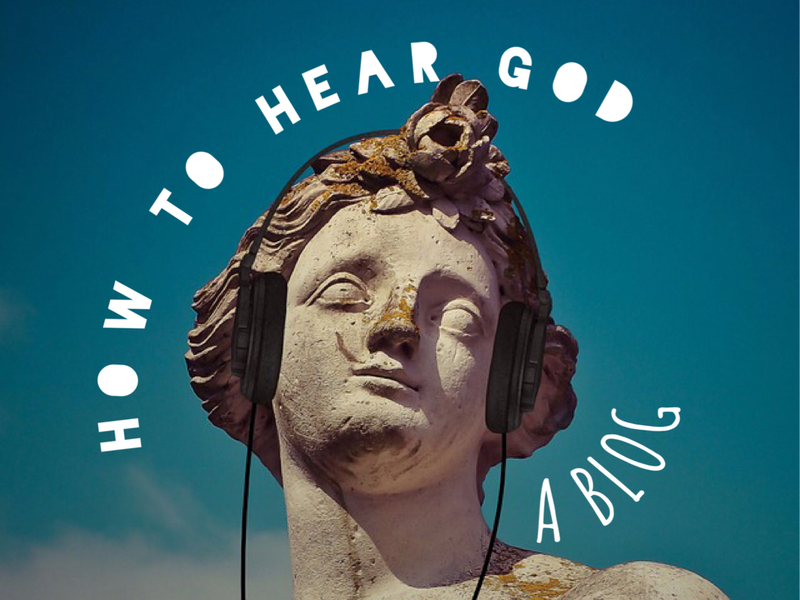 But, here’s one way to know: If God always tells you what you want to hear, that’s probably not God. And keep in mind, the Bible admonishes us to use our prophetic gifts “in accordance to our faith” (Romans 12:5), i.e., The prophetic always requires an element of faith. Sometimes, I simply have to trust that the impression God is putting on my conscience is truly him. That’s why on Substance I.O.’s new album, I wrote a song called, “Pulse of Your Heart.” In fact, if you missed the music video, click here to see it. But in the lyrics, I wrote a prayer that’s intended to help people who are scared to walk in the prophetic. Quite often, we’re afraid to turn down our doubts and simply take a risk. Instead of thinking, “What if it’s just a thought in my head?” ask yourself: “What if it’s God using me to do facilitate something miraculous?” When God nudges me to text someone or do something odd, I usually don’t waste the same amount of time I once did. Don’t get me wrong: If God asks you to say or do something that could potentially hurt people spiritually or emotionally, then definitely run it by your mentors. The prophetic is for “strengthening, encouragement, and comfort” (1 Cor.14:3) – not for manipulation or confrontation. But wherever you’re at in your prophetic maturity, start listening for God. Listening for someone else’s pulse isn’t always easy. It takes time. But the more you do it, the quicker you get.